William Strunk, Jr. first used his own book, The Elements of Style, in 1919 for his English 8 course at Cornell University. The book was published in 1935 by Oliver Strunk. E. B. White was a student in Professor Strunk's class at Cornell, and used "the little book" for himself. 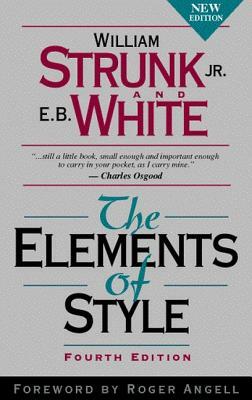 Commissioned by Macmillan to revise Strunk's book, White edited the 1959 and 1972 editions of The Elements of Style.